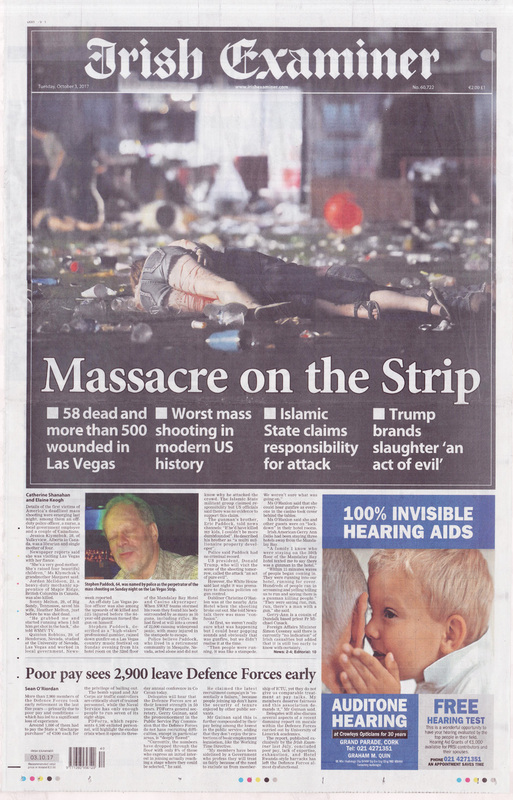 Of all the front page pictures in today’s British and Irish newspapers, that used by the Irish Examiner (seen above) is surely the most graphic. No qualms on the picture desk in Cork about using a photograph of two obviously dead bodies. Their faces may not be visible but surely there must be families somewhere who would recognise these two young women by their clothes and shoes? The fact that they are facing each other suggests that they were hanging onto each other as they were killed. For several years in the early 2000s I taught newspaper and magazine design to journalism students at Dublin Institute of Technology. 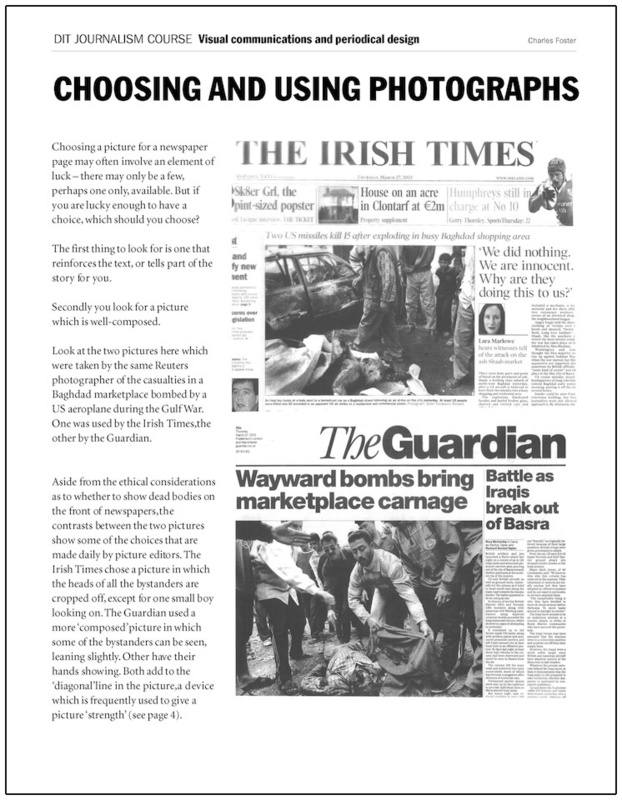 One of the handouts I prepared for them (see below) was on choosing and using photographs, and I used two newspaper front pages from the same day in March 2003 to show the kind of decisions which picture editors have to take. Both the Irish Times and the Guardian had used shots of a dead child killed in the Gulf War taken by the same Reuters photographer. However in one – that used by the Guardian – the other people in the picture were adding to the composition by pointing to the body of a child. I remember having some discussion with the students about whether or not unpixellated or uncropped photographs of bodies should be used. I’m not sure whether we came to any definite conclusion, but it is noticeable that since that time it is rare for the press to use such explicit images to be seen. Someone at the Examiner has obviously decided that today is the day for one. A brave choice indeed. Just out of interest, here is today’s roundup of UK front pages, as shown in the BBC’s blog.